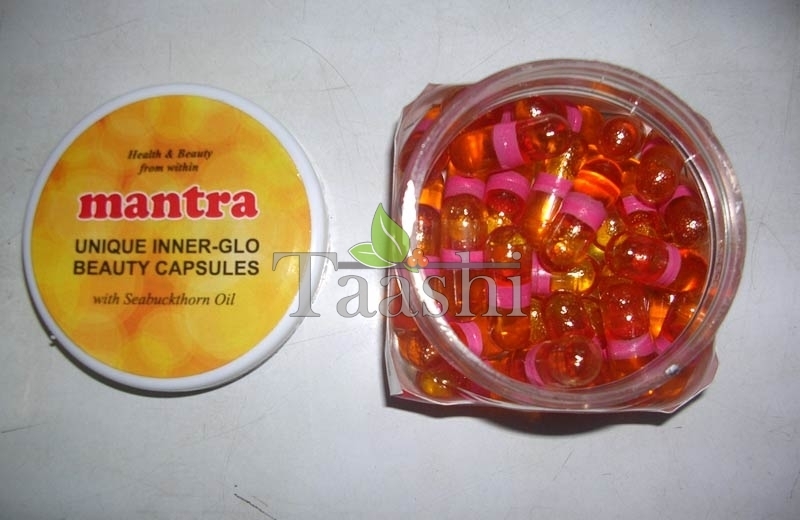 We are offering Seabuckthorn Oil Capsules that are highly beneficial for a healthy body. Modern research has uncovered many great medicinal and nutritional values of seabuckthorn fruit. Seabuckthorn is packed with wonderful bioactive substances and nutrients, and fatty acids including Omega 3, Omega 6, Omega 9, and Omega 7. It is also exceptionally rich in Vitamin E with vitamins A, D, C, D and K, etc. Its active ingredients include carotene, flavonoids, antioxidants, phytosterols, serotonin, amino acids and trace elements including iron, zinc, calcium, manganese, selenium, iodine, etc., that are so important for an overall good health. Continuous good health depends on two things: prevention and wholistic maintenance. It helps in eliminating pathogens before illness strikes and to avoid further pathological changes and complications. Thus, these Seabuckthorn Oil Capsules becomes very essential. Seabuckthorn provides more than 190 nutrients and bioactive substances, and many of them are considered immune building factors, such as Omega 3, Omega 6, Omega 9, Omega 7, vitamins E, A, carotene, polyphenols, flavonoids and trace elements including iron, copper, manganese, selenium, etc. This group of well-coordinated and well-proportioned immune building factors like it regulates and improves the immune system in different processes and at different levels, restores disturbed immune system, strengthens the body’s resistance to diseases, thus effectively preventing diseases and speeding up recovery. The same qualities are key inputs for good looking skin, hair and nails. Anti-Ageing and Immunity boosting : Immunity is the ability and process of resistance of the human body against pathogens harmful to our skin and body. This is crucial to good health because it means not only freedom from diseases and pains, but also an optimal condition physically, mentally and socially. Dramatically reduces the effects of Free radicals : Since the later 1970s, scientific studies led to many important discoveries about the adverse effects of free radicals and oxidation on our health. It is found that more than 80 diseases are related to free radicals, the most common ones include stroke, myocardial infarction, infant anemia, diabetes, arteriosclerosis, tumors, cataract, radiation damage, burn, brown spots, wrinkles, aging, arthritis, lung disease, nephritis, hepatitis, etc. Neutralizes free radicals which cause neurodegenerative disorders : Free radicals have also been implicated in the development of neurodegenerative disorders such as Parkinson’s disease and Alzheimers’s disease. Seabuckthorn fruit and leaves are quite rich in flavonoids which neutralize these free radicals.